We are writing from Palestinian environmental organizations and academic and professional unions to urge you to move the planned MedPine 6 conference at Hebrew University outside of Israel. The conference organizer, Keren Kayemet LeIsrael (KKL-JNF), is deeply complicit in Israel’s violations of Palestinian human rights. While presenting itself as an environmental organization, in reality KKL-JNF is a discriminatory organization founded in 1901 with the stated goal of acquiring land and property in Palestine “for the purpose of settling Jews on such land”, excluding the indigenous Palestinians. Human Rights Watch notes that most of KKL-JNF’s land holdings are the result of Israel’s illegal seizure of Palestinian owned land following the expulsion of approximately 800,000 indigenous Palestinians during the establishment of Israel on the ruins of the Palestinian homeland in 1948. KKL-JNF continues to play an active role in the dispossession of Palestinians in the occupied Palestinian territory, within present day Israel and those living in forced exile. KKL-JNF has worked to evict Palestinians from their homes in occupied East Jerusalem and to demolish Palestinian Bedouin villages in present day Israel in order to replace them with Jewish only settlements. More than two-thirds of KKL-JNF forests and parks were established over the ruins of Palestinian towns and villages destroyed by pre-state militias and later the Israeli military in an attempt to erase Palestinian history. The UN Committee on Non-Governmental Organizations rejected KKL-JNF USA’s application for consultative status with the UN Economic and Social Council over KKL-JNF’s involvement in Israel’s illegal settlements built on stolen Palestinian land and its violations of the principles of equality. Former British Prime Minister David Cameron terminated his status as an Honorary Patron of the KKL-JNF following growing public scrutiny of the organization. KKL-JNF’s main partner for the conference is Hebrew University of Jerusalem (HUJI), whose Mount Scopus campus sits on Palestinian territory and, in part, on illegally seized private Palestinian property in occupied East Jerusalem. It is therefore part of Israel’s illegal settlement project, providing housing and employment for nationals of the occupying power in occupied territory, in clear violation of the Fourth Geneva Convention. 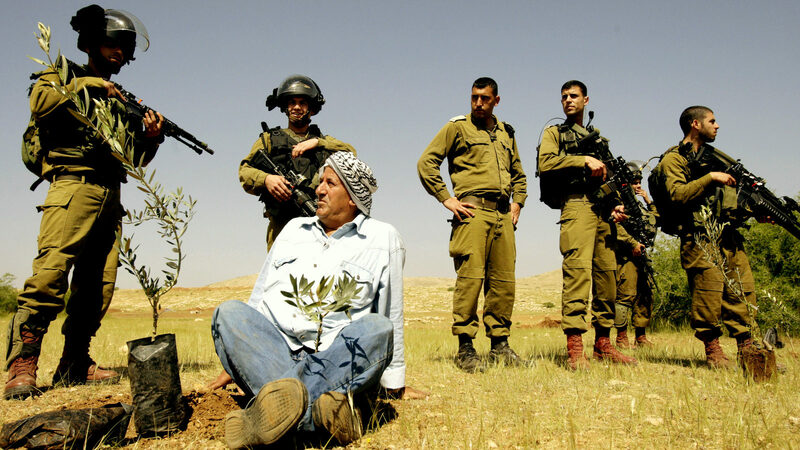 Last April, HUJI’s Advanced School for Environmental Studies hosted a conference featuring institutions based in illegal Israeli settlements. Among the organizers were the Kfar Etzion Field School from the illegal Israeli settlement of Gush Etzion and the Jordan Valley Research and Development Center, part of Ariel University located in the illegal settlement of the same name. Israeli settlements are illegal under international law and rob Palestinians of their land and water. Settlements and their infrastructure separate Palestinian villages from each other and restrict Palestinian freedom of movement. They also have detrimental health effects on Palestinians, their crops and livestock. Illegal Israeli settlements dump 19 million cubic meters of wastewater in streams in the occupied West Bank each year. A massive Israeli landfill in the occupied West Bank is a constant source of fires from the large concentration of methane. Settlement industrial zones dump toxic waste near Palestinian communities. We urge the MedPine International Scientific Board to relocate its 6th international conference outside of Israel until such time as Israel respects Palestinian rights as stipulated under international law. We call on all invited speakers to refuse to lend their research and scholarship to KKL-JNF’s greenwashing of Israel’s violations of Palestinian human rights and to cancel your participation in the MedPine conference if hosted in Israel. As Palestinian environmental, academic and professional organizations, we urge you to stand with us in our struggle to create a more just world, making the link between environmental and social justice.